Mexico shocked 'World Cup' Winners Germany and they caused a huge upset. That goal is enough for the Mexicans to jump in joy and believe it or not, that jubilation has shaken the ground hard to set off the earthquake detectors. 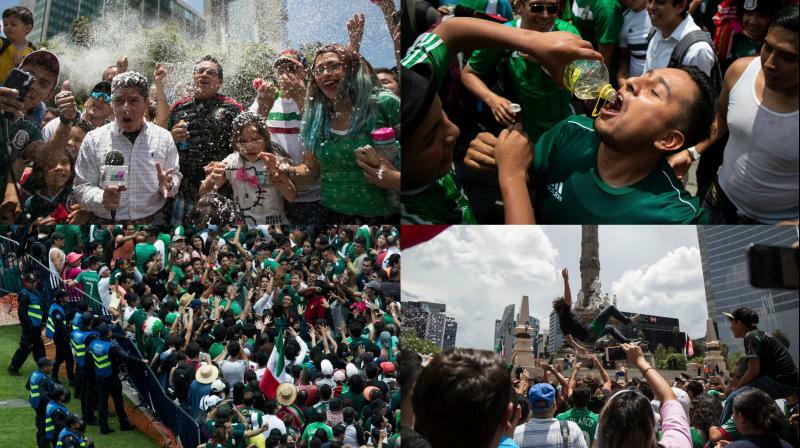 The surprise victory over the World Cup defending champion has caused such a huge celebration as fans waved the Mexican flags and also donned traditional "Sombrero" hats. We could also see the fans singing the country’s unofficial soccer anthem, “Cielito Lindo,” or “Pretty Little Sky,” a popular folksong. Hirving Lozano scored the most unexpected Goal in the 35th minute and that was the reason behind the joy. The Institute of Geological and Atmospheric Investigations said highly sensitive earthquake sensors registered tremors at two sites in the capital 7 seconds after the game’s 35th minute. It is an 'Artificial' earthquake.